FYM's Art Director has been keeping busy with poster design projects lately. A couple weeks ago Pickwick asked us to design their up and coming North American tour poster. Listen to Lady Luck featuring Sharon Van Etten above. This track is now available via Pickwick's covers EP. 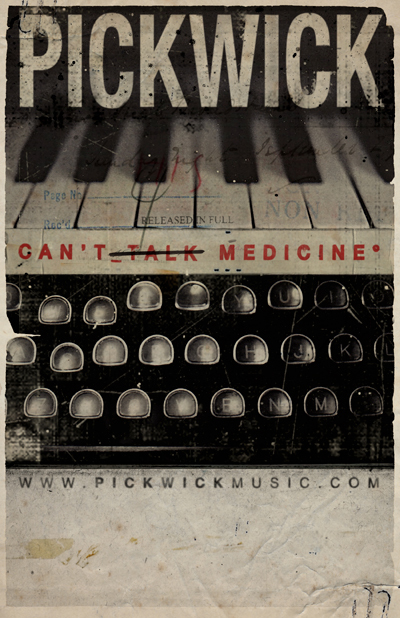 You will also find it on their debut album Can't Talk Medicine due out March 12th, 2013. For more info, visit the band's new website HERE. 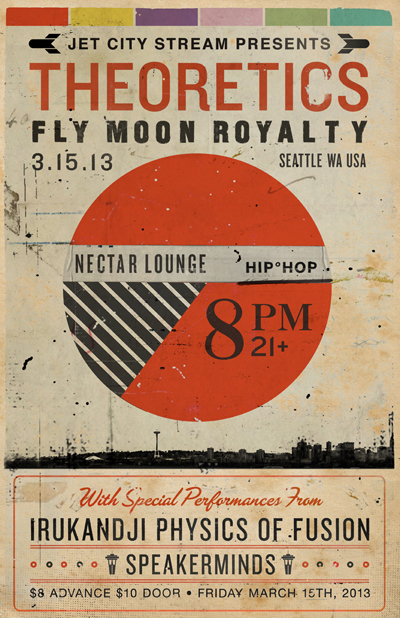 Their show at Nectar Lounge is sponsored by Jet City Stream. Please check out Jet City's website HERE, they're a radio streaming platform that only plays music local to Seattle (from the classics to fresh new indie hits). Legendary Seattle DJ Marco Collins happens to be the music director, and hear real talk from Shawn Kemp Wednesday's from 7-8pm. 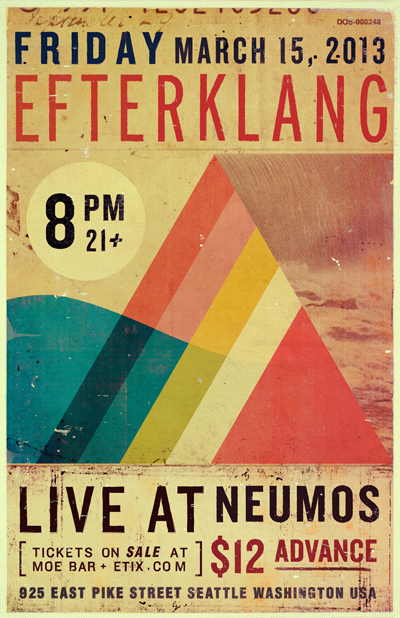 Above is our latest design for Seattle music venue Neumos. You may remember our last poster for them was named poster of the week by The Stranger. This time we put our skills to work for a band from Denmark called Efterklang. Watch Efterklang's video for their single SEDNA. The hauntingly beautiful track is paired well with introspective footage. To buy tickets to their show March 15th go HERE. Cheers, FYM. They Live!